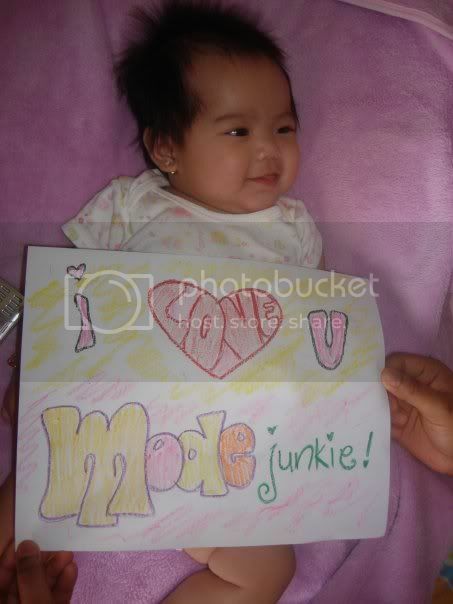 Mode Junkie: somebody just got a sister. remember my wanna be babooshkas? she just got a little sister. 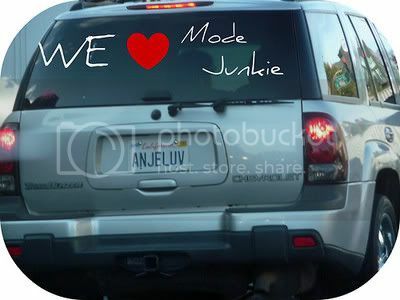 part two of the i love modejunkie photos! i love it when kids love me! :) so cute. you're gonna be a blogger one day too. i know it! SO, the contest ends today. 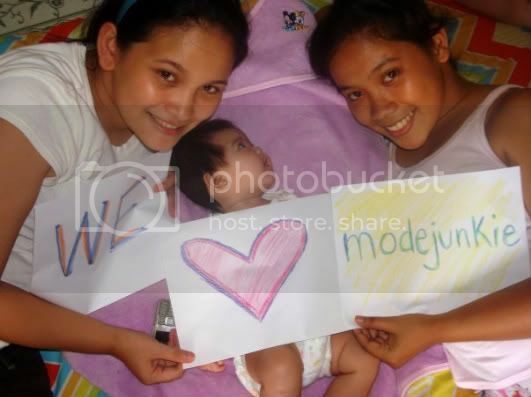 thank you for all who voted, commented, sent photos and for dragging your sisters/ babies or what have you in the pic! i'm popping open a bottle of champagne now. and i am toasting for more years of blogging and more readers like you guys! 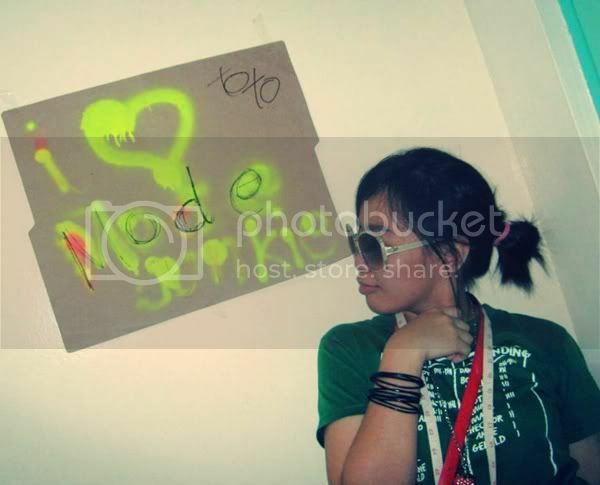 Did you get the one with Heart Evangelista as well??? Thanks for playing Monday Matters today! aww thats so adorable !! i have some as well. of the forst strappy ones! gosh where did u get these shoes??? congratos x all the post! wow! 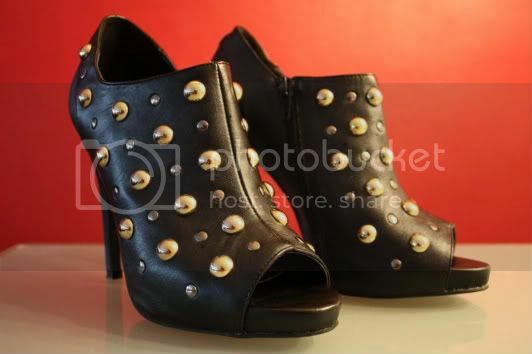 am loving those shoe. is it a raffle thing? OMG! am never gonna get the bag, am so malas with raffles. hihihihhi. true! anyway is there a free shoe that goes with the bag? great entries there. Lots of fun making them. Have a great day! yes the little sister shoes is one great look. baeutful pics! 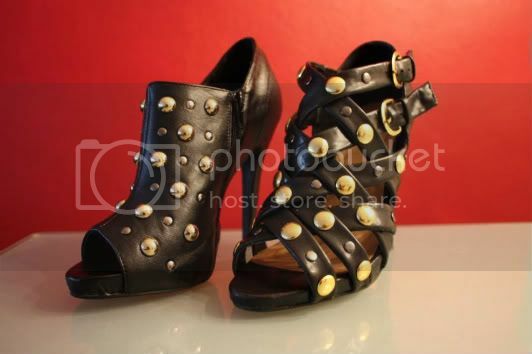 both of the shoes are so gorgeous! I am so coming over and stealing those from you!!!! Ich hab die Schuhe bei Deichmann auch anprobiert, fand aber dass sie echt schlecht gemacht waren, die Öffnung für den Zeh vorne ist so riesig dass der halbe Fuß beim gehen rausfällt. Aber so lange man sie nicht an hat sehen die ganz toll aus, wie geht es dir damit, hast du keine Probleme beim Laufen??? oh yummy booties, where are they from?? 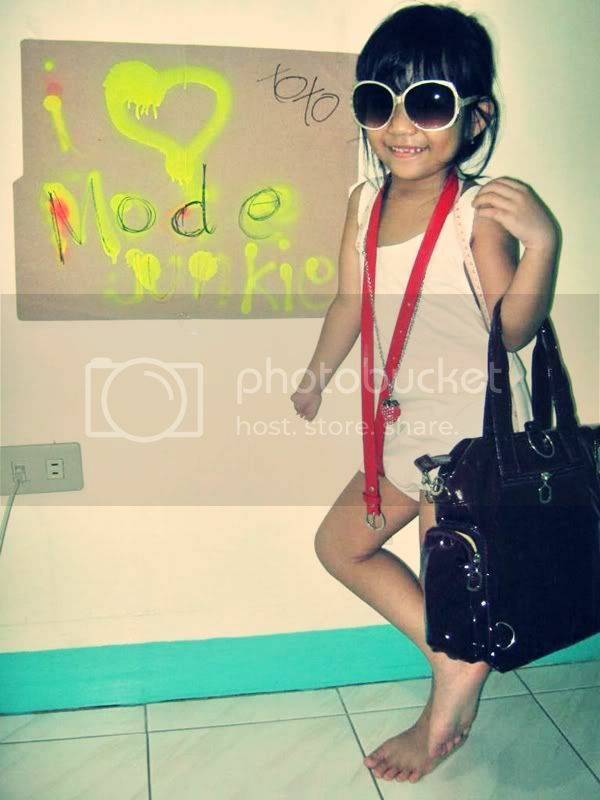 The little girl with her white sunglasses is truly a sweetie! adorable photos! and Adore the shoes!